Home Personal Development Mother – the Unpaid Worker! What She Worth? How often have you paid your mom for whatever she did for you? I am sure no one would have ever at least the way any employee is paid. As per a survey, most of the women spend 4 hours a day doing unpaid mundane chores in the US and in India, the timeline stretches to 6 hours. It includes household work, caring for husband and children, community obligations and for all these work she doesn’t get paid. We all assume it is part of her duty and she will willingly do it all considering it as her duty out of love for her family. But is it justified and OK? She does not even get any admiration or praise for this and nobody bothers about her work. Not even her children or husband. During this phase of her life she forgets to pay attention towards herself and when she realizes, it’s too late. She grows old and has no one to stand by her side. Often not even her husband and children! Is this the life she expects to lead after sacrificing all her life, passion, hobbies and desires for her family? Does she deserve this at the twilight of life! When she grows old there is nobody whom she can count on. At this juncture, she realizes that all her efforts, hard work, and sacrifices have gone in vain. She has to do all her day to day mundane chores on her own, even when her body and mind does not support her discretion. Should She Expect Something in Return? Women are always expected to perform all their duties to the best of their abilities without expecting anything in return. Of course, in a family, there is no obligation, slavery or employ or employer lingo but at least love must survive! How can a mother be left unattended and unsupported by any family? How can a family, a husband and the children forget her sacrifices? My own experience, which I gathered in my lifetime says – be passionate about your family and children but without compromising your own identity. Your own identity will help you live happily with your family, children, and friends in the twilight of your life and you will live and die with dignity! You will never have to expect anything from anyone! Be a giver always, never a beggar. Never should you ever let go your self-entity and self-respect for the sake of your family! Family comes first but it’s your self-respect that encourages you to stay connected and passionate about your family. If you love and feed your children in a hope they will support you in your old age you are at the wrong end. First, build your own self-esteem then only you can build your family. You are the owner of your life and dignity. Never compromise it for anything. Nothing can be as precious as your own self. If you are happy and hold yourself in high esteem, you’d be able to respect others. A submissive person can never respect others. First, respect yourself than others. Build your own identity. Once you do it, you do not have to prove anything else. Don’t let anyone take you for granted. Your morality is your esteem. Let your children and hubby realize you’re not available all the times. Let them manage their own chores often. It will not only give time to you but they will also try their hand at those tasks that they never valued and they will be able to learn to stand on their own feet. Being self-reliant and self-made is the biggest mantra if you want to survive with dignity in this world. Steal some time for yourself. Never compromise everywhere. Take time off your work and do what delights and relaxes you. It could be watching movies, shopping, hanging out with friends or even cooking your favorite food. Let your children and husband on their own during this time. I am sure, they will also enjoy time fending on their own. Your career is your lifeline. Never skip this experience. It adds value and resources to your life. It makes you realize your worth. You get knowledge and develop skills to earn. Never stop learning and growing in your career till your last breath. The day you stop learning, you die. Don’t be a homemaker only. Earn your social status by working hard to build your career. It will not only boost your self-esteem but it will also give you the power of money which nowadays is the biggest strength. Being financially stable and self-reliant is necessary to live with dignity. You will never have to beg from your husband and children. In weekends take time off for yourself and do not work. You may ask your children and husband to share the household work. I am sure if they realize your worth they will not object to it. They must also realize what you have been through all these years and how difficult the task you have been managing rest of the days. Your health is your biggest asset. Once it is gone, your self-respect, confidence and self-reliant everything will be gone. So never let it to. Become a fitness freak and never skip your workout training. Stay motivated by your fitness. The fitter you are, better you feel and stay motivated. A healthy mind lives in a healthy body. Keep a close watch on your hard earned money. Spend it where you feel fine. But do not spend it recklessly and on anything. Keep all your hobbies and desires in a limit. Spend money on yourself but after saving for future. Don’t give away your money to children or husband in a hope they will support you on your bad days. Today nobody comes to support when you are empty handed. Your money is your biggest power. It does not mean you should not spend it at all. Let your discretion decide where to spend and where not to. Do follow your dreams but do not forget to analyze its authenticity and viability. If something is wrong for everyone, it cannot be right for you! Don’t suppress your desires but not without analyzing its consequences. You also need to control your mind and desires to keep it within the acceptable social norms. Be vocal and smart but within social norms. I am sure, these tips will help you stay smart and live your life with dignity without compromising your dreams and passions. Previous article6 TED Talks You Must Watch To Boost Your Motivation! 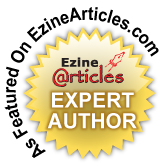 Next articleSelf-Publishing VS Traditional Publishing – What to Opt for? Super articles that leaves the reader thinking about it, Mamtha. Thanx Pranitha, keep visiting for many more motivational tips!